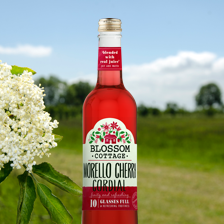 Our delightful Elderflower, Blackcurrant and Morello Cherry cordials are expertly blended to give a deliciously refreshing taste when mixed with still or sparkling water. Simply add our cordial to chilled water and ice to make the perfect drink. 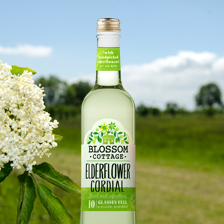 From hand-picked elderflowers to real fruit juice, at Blossom Cottage we only use the finest ingredients in our drinks to deliver the best flavour for you to enjoy. 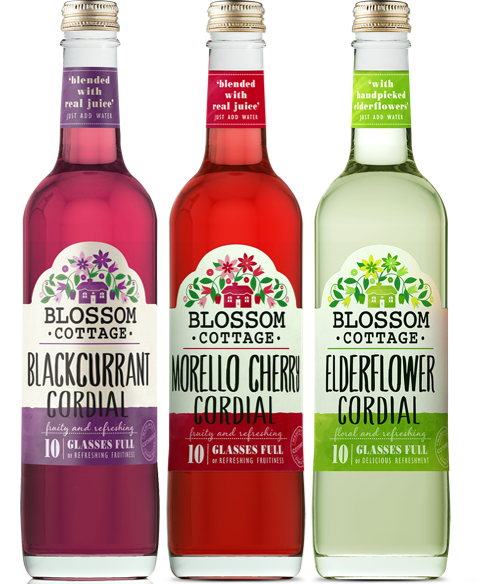 Blossom Cottage cordials are made in the heart of the Cotswolds, blending refreshing spring water with delicious fruits and blossoms. 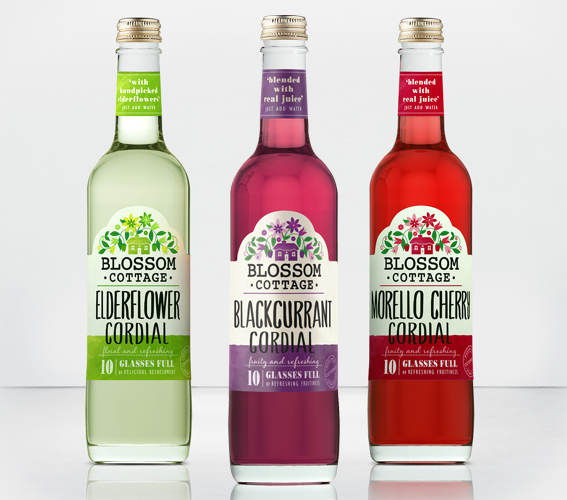 Our cordial range contains no artificial flavours, colours or sweeteners. Our two cordials are made with loving care in the heart of the English Countryside. 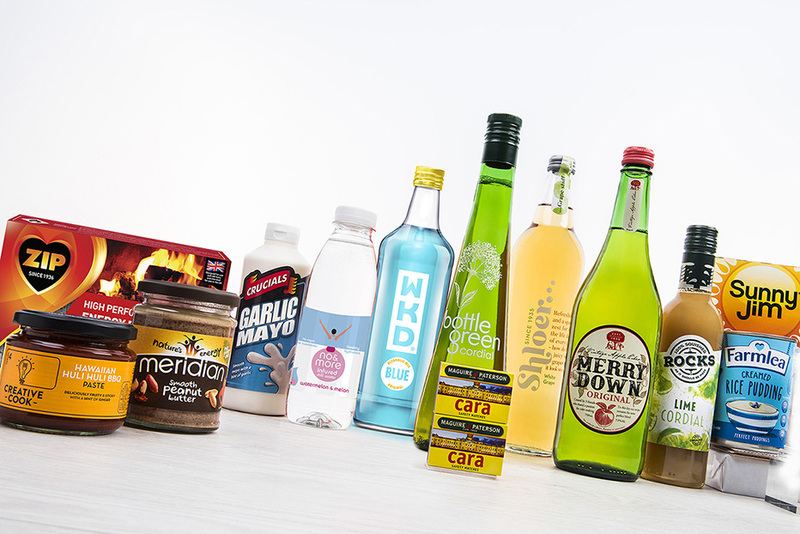 We want to transform a standard mundane glass of water into a delicious burst of flavour. Simply dilute one part cordial to four parts water for the perfect refreshment to be enjoyed throughout the day. 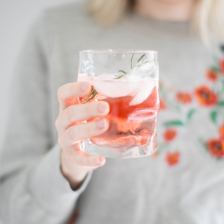 Don’t just stop there….mix with still, sparkling or hot water for a different flavour experience or get even more creative and use as an addition to cocktails and mocktails. 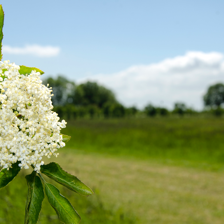 Made combining delicate, hand-picked elderflowers and spring water, creating a delicious and refreshing cordial. Simply dilute with still or sparkling water for a perfect drink no matter what time of day. Blending succulent Morello cherry juice and spring water, creating a deliciously fruity cordial. 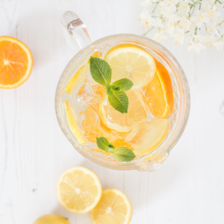 Mix with still or sparkling water for a refreshing burst of flavour. 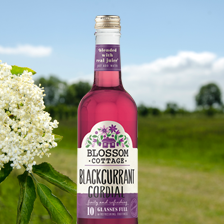 Made in the heart of the Cotswolds with luscious plump blackcurrants and spring water, creating a delicious and refreshing cordial.